Whenever we have a problem with our teeth, it is important to know what options we have to our disposals. A root canal is a treatment that can save a tooth’s life, and we will be explaining that shortly. With the help of Los Algodones dentists, we shall put down all the information you need to know about what a root canal is, when do you need one, how the procedure is, and all those important bits! 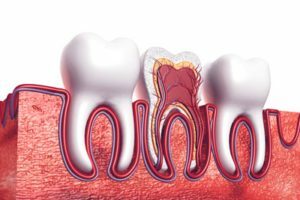 Now what is a root canal? It is actually a simple thing to explain. When the tooth is heavily affected by decay or an infection, it starts to give us some problems. For this, this procedure clears out the nerve and pulp and then seals the inside. This accomplishes many things such as avoiding the infection to spread and abscesses to form. The name root canal is used as it refers to the cavity of the tooth where the pulp is at. This is the vulnerable area that bacteria attack and where we can sense a change of temperature. It becomes a necessary procedure when the inside of our tooth, the pulp, gets infected. This can lead to inflammation or an infection that can spread to other teeth. Not treating this inflammation leads to pain and eventually a tooth abscess. Keeps the infection from spreading to other teeth. Fixes the source of pain and inflammation. Although the pulp is removed, the tooth can be saved. It is possible to chew, eat and talk normally. This procedure usually takes more than one visit in order to get done. But before it can begin, it is necessary to take an X-ray to know in what shape the tooth is and if the infection have spread. 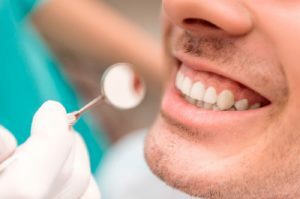 With this information Los Algodones dentists can take the best course of action for the procedure. The first step towards a root canal is to administer a local anesthesia to the patient. Even though the anesthesia is not really necessary due the nerves inside the tooth already being dead, it helps the patient feel more at ease throughout the process. Also, in the cases where there are still nerves, it definitely helps as it numbs the area. After this, the area to be worked with is thoroughly cleaned to get rid of bacteria and unwanted things. Then the dentist proceeds to use a special tool to drill and create a hole into the tooth. Through this hole the damaged and infected tissue is removed and cleansed with water. To further deal with any leftover bacteria, the dentist might use an antimicrobial solution. Once everything is cleaned, the patient might need some time in the case of an infection. In this scenario medication will be issued and another appointment will be needed. If everything is fine, then the tooth can be sealed the same day. For sealing a root canal, it is common for dentists to use gutta percha, which acts like a rubber component. Then the tooth itself is filled with a temporary filling. Then during the next weeks, the patient is ready to get a permanent crown so it fully protects the tooth. Sometimes the tooth requires a little bit more stability so the dentist will make sure to check if everything is alright. There are very little procedures that can effectively save a tooth like the root canal. Any more than that and you will need a tooth extraction, which will be followed by a dental implant or bridge. It is important to have your mouth in a proper state. A lack of tooth in the area can make teeth shift places. No Replies to "Root Canal: What Is It?"